The Party of European Socialists strongly condemns the Turkish government’s authoritarian purge of elected officials from opposition parties, including last week’s dismissal of Murat Hazinedar, the elected mayor of Besiktaş district in Istanbul. Since July 2016, more than 100 districts and 10 provincial centres in south-east Turkey have been stripped of their elected mayors, in a purge conducted by President Erdoğan’s government on the pretext of fighting terrorism. Dismissed politicians have been replaced by appointees of the Interior Ministry. 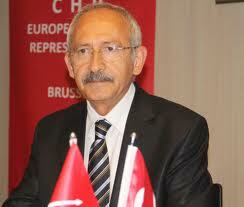 The PES associate member parties in opposition, CHP and HDP, have been specifically targeted by the purge. “The list of anti-democratic outrages perpetrated by Erdoğan’s government grows longer. Replacing elected mayors with government appointees is the latest in a concerted plot to undermine Turkey’s democratic structures and centralise power in the hands of the president, which has also included imprisoning members of parliament, rewriting the country’s constitution and conducting sweeping reforms of the judiciary.